Construction has begun on our Painesville Renovation! 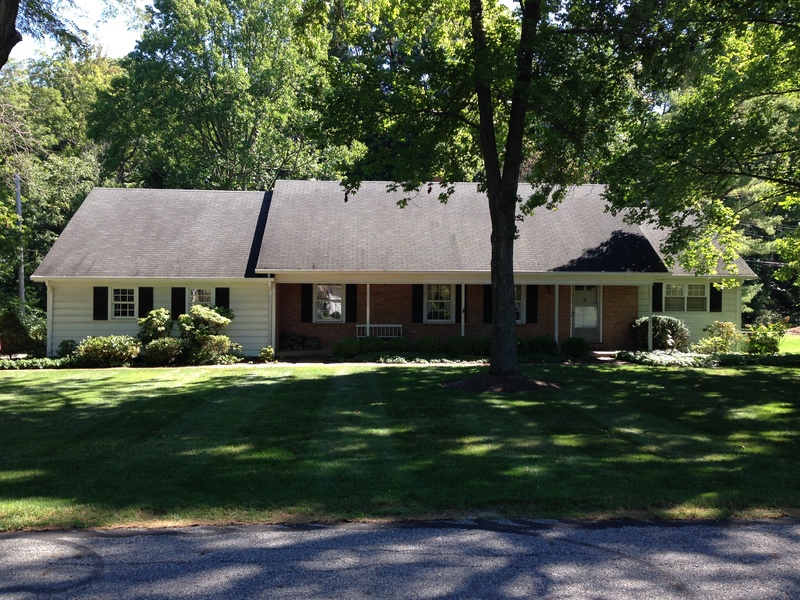 Check out the progress pictures below. 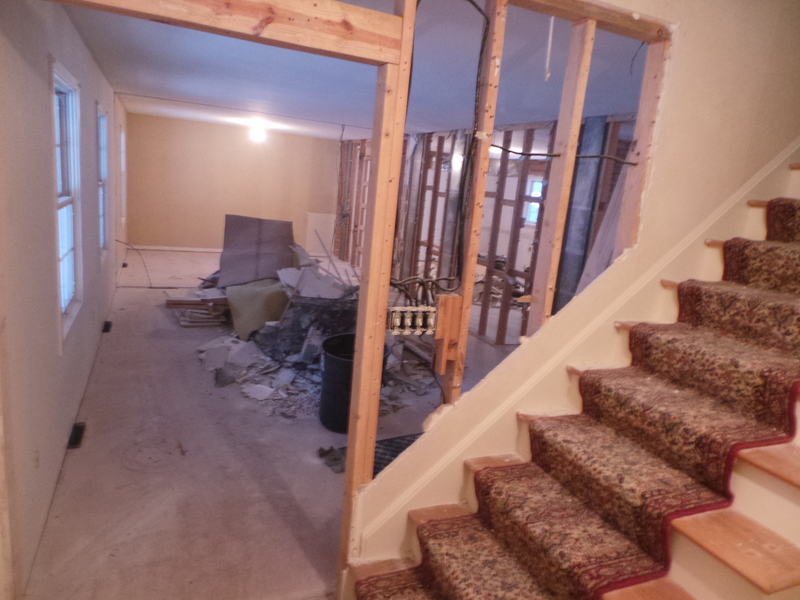 The staircase is taking on a whole new look. 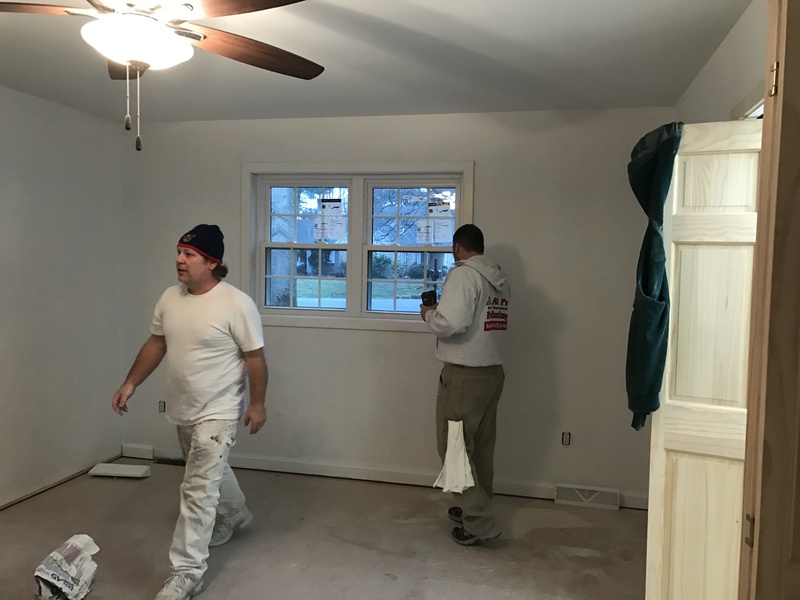 We are opening the wall into the living room and adding spindles. 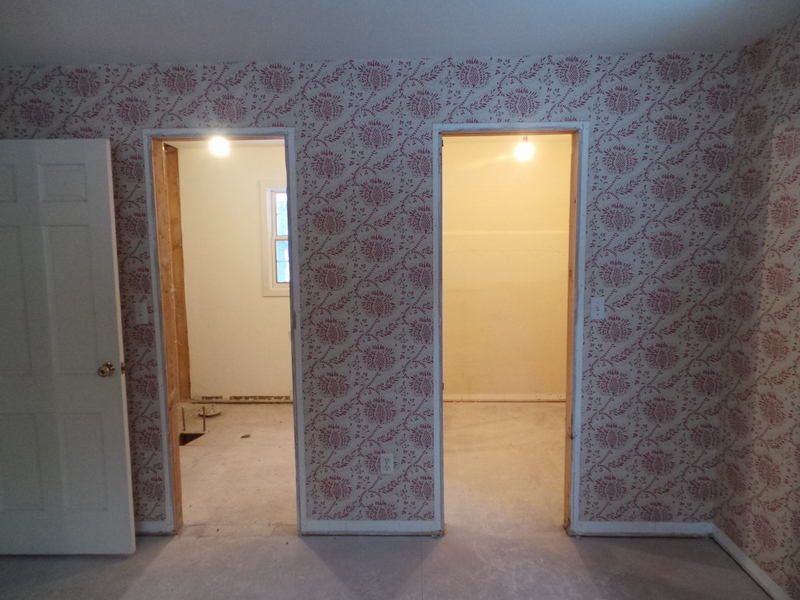 To the right of the stairs, we are enclosing the wall to create a lovely walk in closet in the master suite. 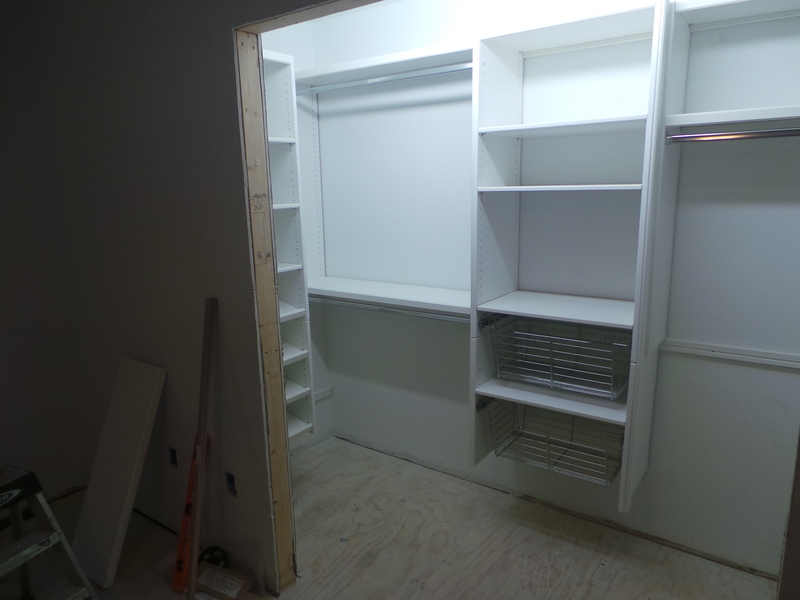 The existing walk in closet in the master suite is being used to create a beautiful walk in shower. The new closet seen above, now houses a custom, Real Closet system. 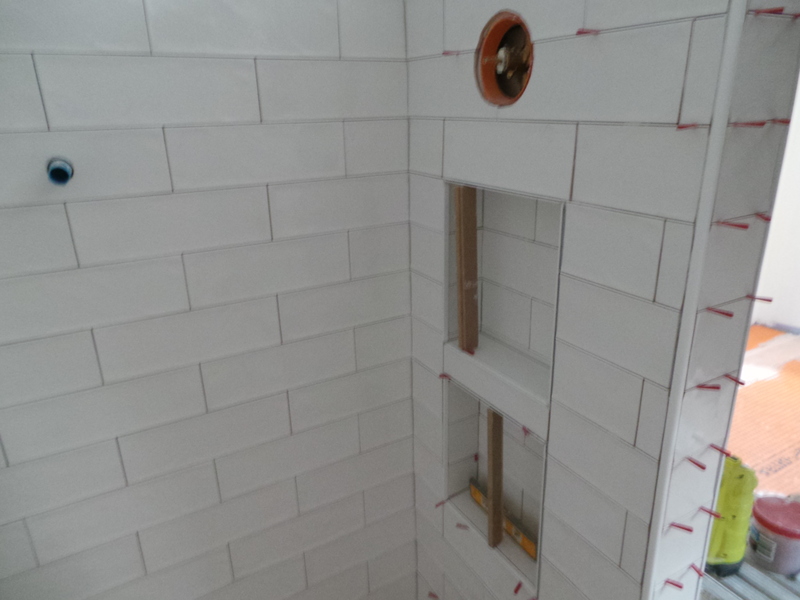 The tile is being installed in the master bath shower. The tile was inspired by a coastal theme the client and designer envisioned for the space. 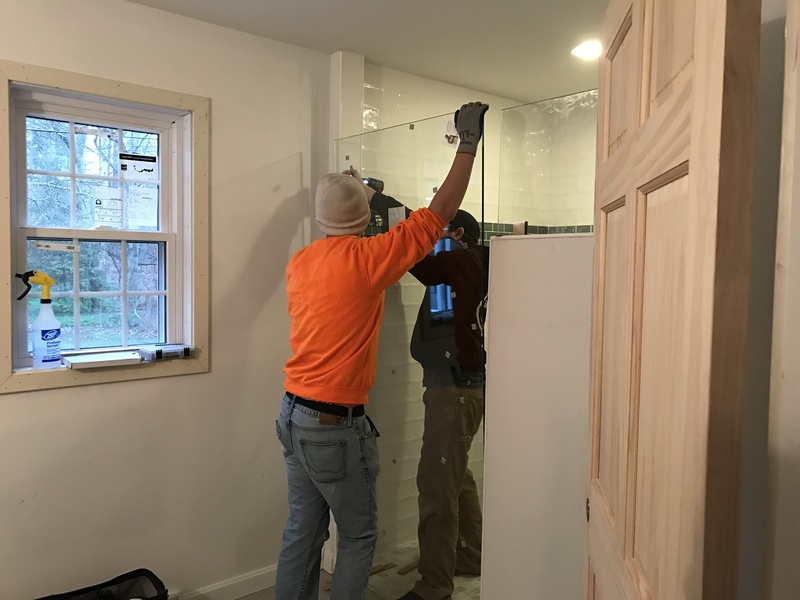 The custom, glass shower door is going in! 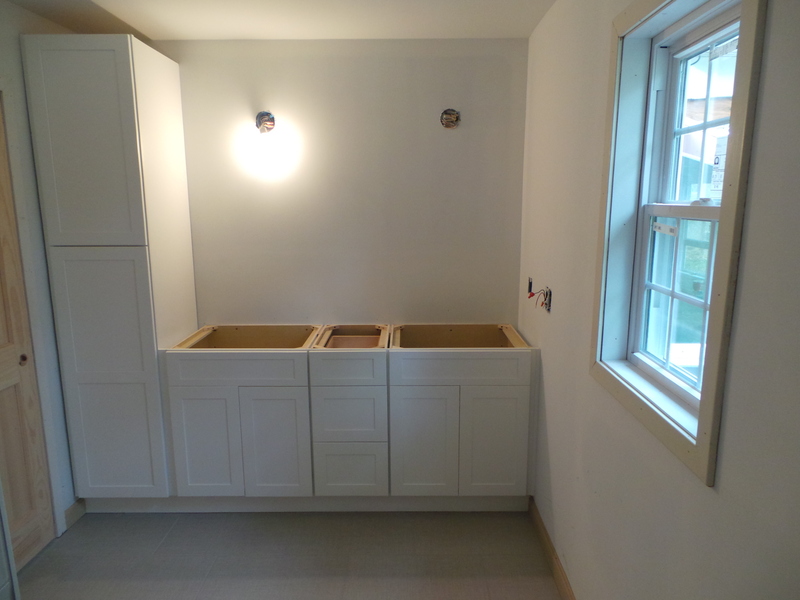 Fabuwood’s Galaxy Frost cabinetry makes up the custom vanity seen in the master bath. 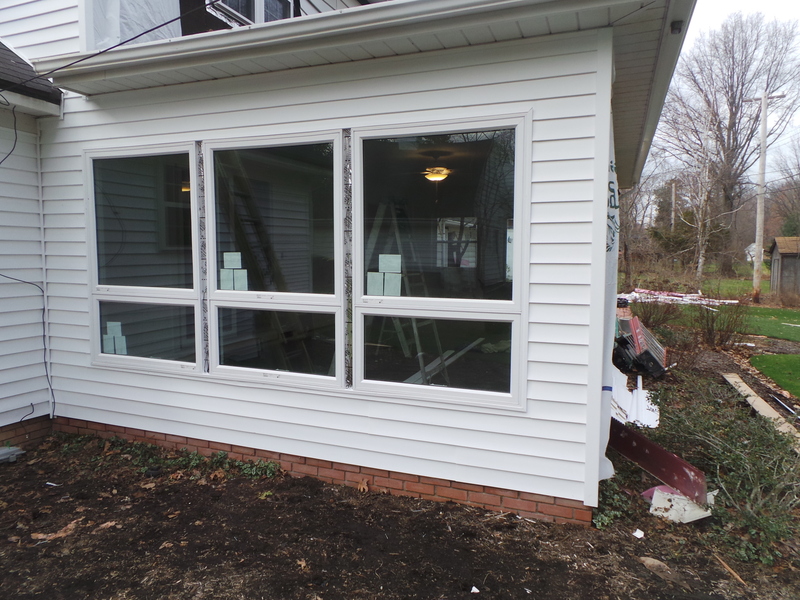 All new vinyl siding is being installed on the home, including a new roof and new windows. 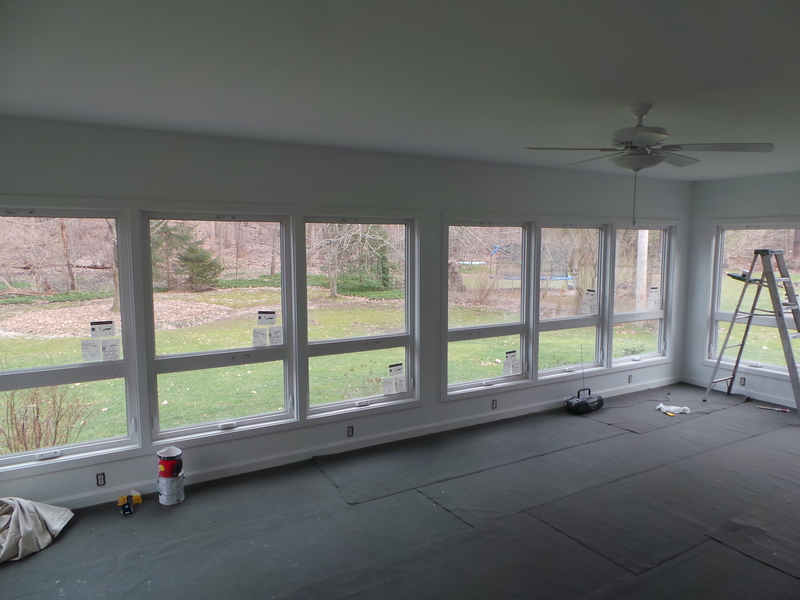 The sun room has taken on a new look with the addition of new windows and a new ceiling! 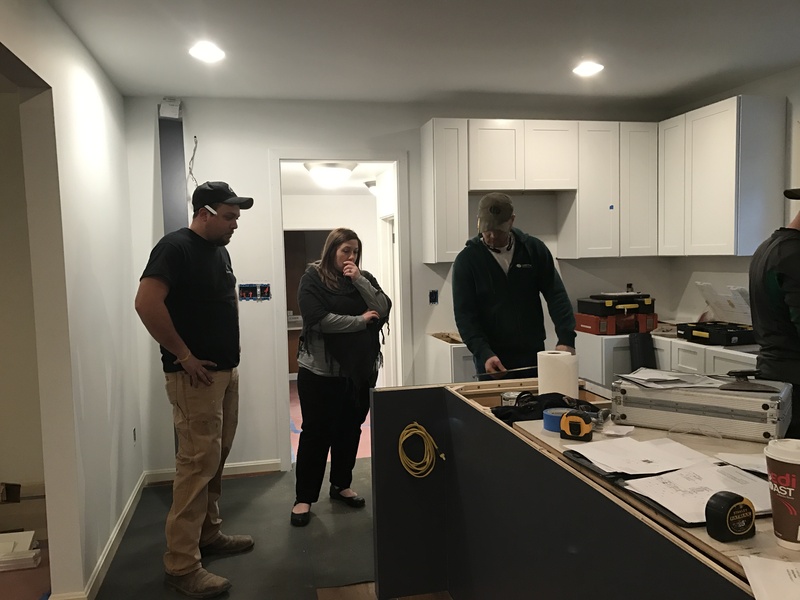 A fine example of team work in the kitchen, as big decisions are being made! 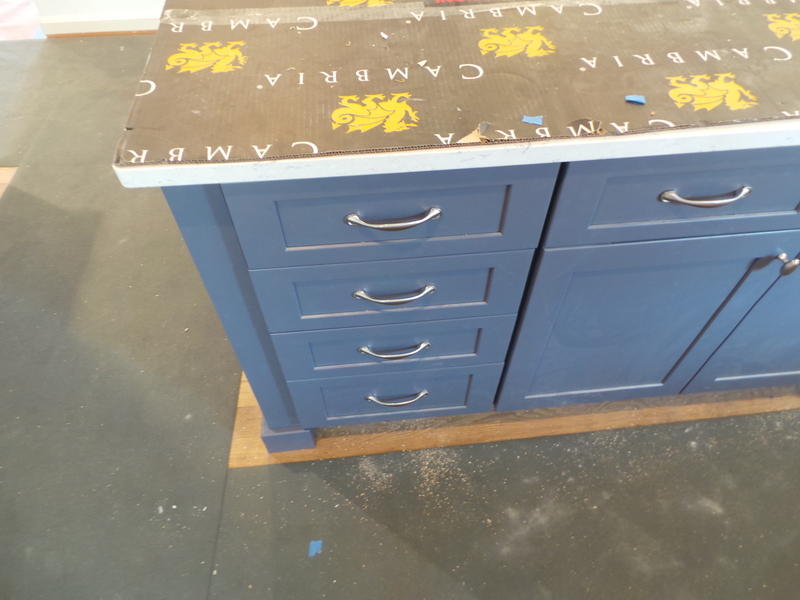 This spacious island built with Fabuwood Cabinetry has been customized with a beautiful blue finish using Sherwin Williams Charcoal Blue – SW2739. 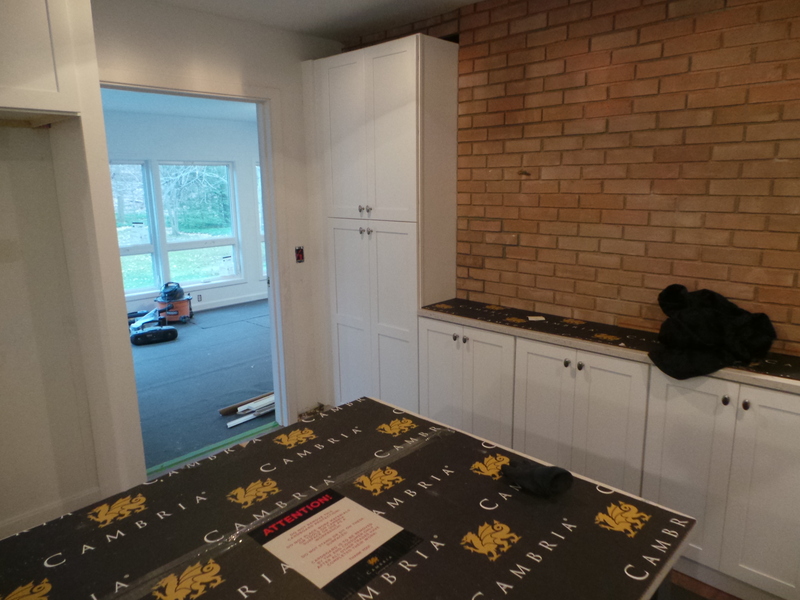 Stay tuned for the big reveal to see the elegant selection of Cambria countertops! Our client’s loved the brick wall feature in the home and chose to accent it with Fabuwood’s Galaxy Frost cabinetry, creating a lovely buffet to make entertaining a breeze!